The Japan Trends Shop is selling this Rhinoceros Beetle Earring for $48. 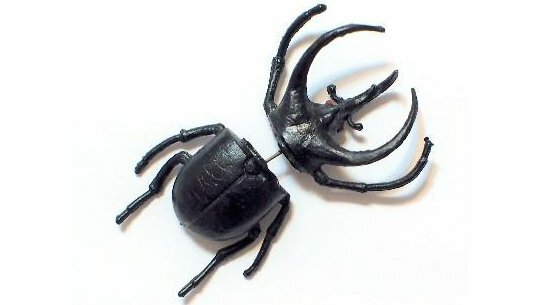 Yes, now you can wear a very realistic rhinoceros beetle on your earlobe. Dreams really do come true! Check Out These Super Clever Silhouette Earrings!